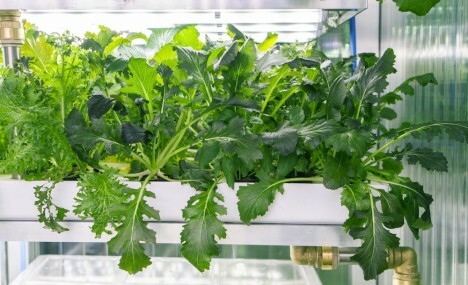 Taking farm-to-table approaches to new heights, a company in Berlin is putting small vertical farms directly inside of grocery stores to provide fresh produce and eliminate transportation costs. 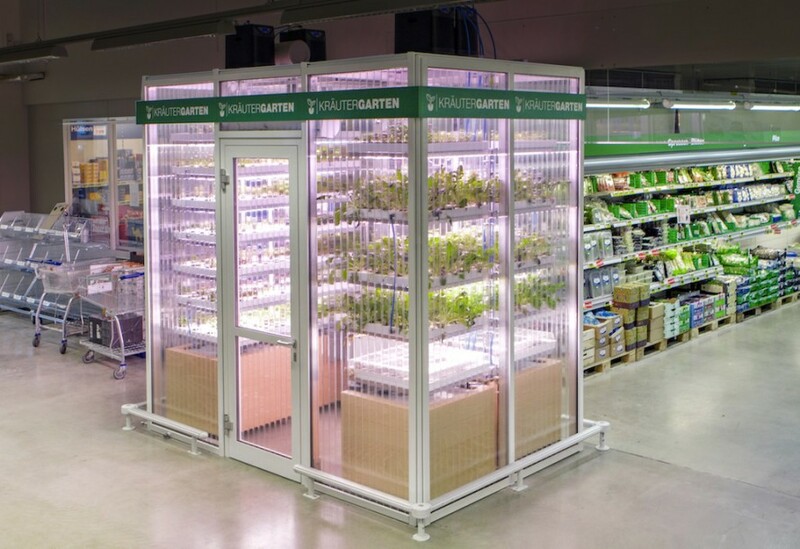 Its makers are boast that these are the first indoor farming installations of their kind, placed as they are directly in markets. 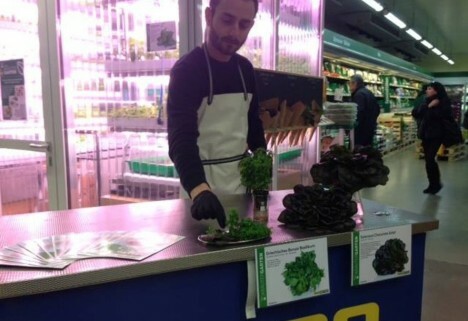 INFARM is currently testing live herb gardens in METRO Cash & Carry stores, integrating them into the layout of the shops and making their display part of the shopping experience. Cutting down on transport costs and associated emissions is good both for the bottom line as well as the environment. These aquaponics systems use less water, energy and space than conventional farms and horizontal greenhouses. And, of course, there is nothing customers like more than the freshest possible ingredients, and these come right off the proverbial (or actual) vine. The present year-long pilot program involves herbs and salad greens for now, but the same technology can also be deployed to grow other plants including tomatoes, peppers and other fruits and veggies. Next steps may include additional stores and chains but also inserting similar modules into places like restaurants and hotels looking to offer something unique to their clients and guests. This is not the first green grocery innovation to take root in Berlin, Germany, which is also home to the world’s first packaging-free grocery store. 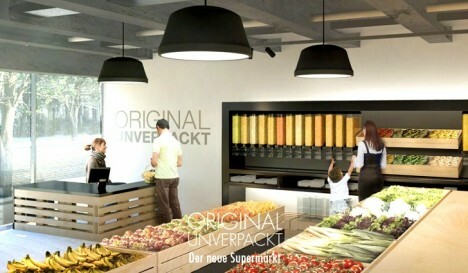 Original Unverpackt is the first in a series of stores using a sustainable model similar to co-ops but at a larger scale and aimed at mass market consumers, adapting the package-free bulk approach to sell all of its unpacked goods directly to consumers.